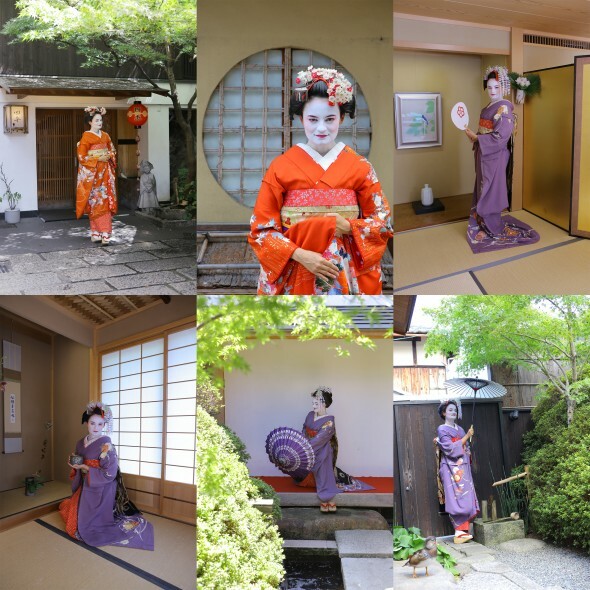 2018.9.6 Experience the culture and art of Kyoto and experience great photography. | 고객의 소리 | 舞妓体験・舞妓変身スタジオ四季 | 京都舞妓体験「四季」は綺麗がちがいます마이코 변신 스튜디오 시키 | 쿄토의 마이코 변신 스튜디오 시키는 아름다움이 다릅니다. I absolutely loved this experience. It was so beautiful and fantastic! 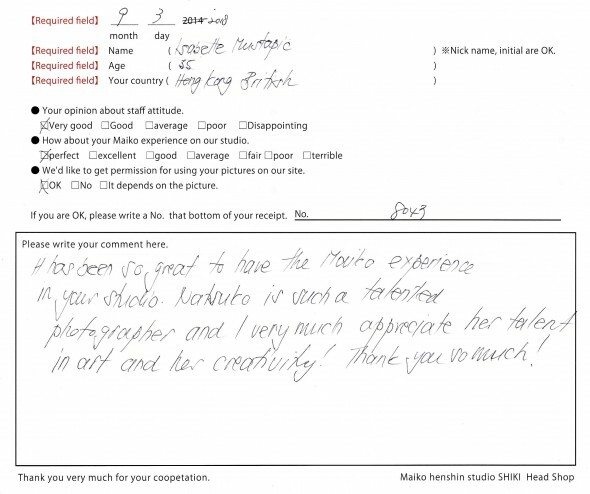 It has been so great to have the Maiko experience in your studio. Natsuko is such a talented photographer and I very much appreciate her talent in art and her creatively!